+WESLEY CHUN, MSCS, is the author of Prentice Hall's bestselling Core Python books, the Python Fundamentals companion video lectures, co-author of Python Web Development with Django, and has written for Linux Journal, CNET, and InformIT. In addition to being an engineer & Developer Advocate at Google, he runs CyberWeb, a consultancy specializing in Python training. Wesley has over 25 years of programming, teaching, and writing experience. While at Yahoo!, he helped create Yahoo! Mail and Yahoo! People Search using Python. Wesley holds degrees in Computer Science, Mathematics, and Music from the University of California. He loves traveling worldwide to meet developers, whether at a technical conference, user group meeting, or on a university campus. Wesley is a Fellow of the Python Software Foundation and can be reached on Google+ or Twitter. Principal: Founder and principal resource of technical consulting agency specializing in Python corporate training, including public instruction and short-term engineering contracts. Writing duties include Python-related books, articles, and general technical writing and editing. Senior Engineer: Building applications for optimizing localized retail shopping for consumers who research and shop online but prefer to buy offline. Built an SMS/text messaging service allowing mobile phone users to access the company's product search engine. Also developed the in-house customer reservation tool on top of an open source issue-tracking system. Have a patent pending on a search engine operating within the bounds of a well-defined geographic location. TOOLS: Python, SVN, XML, JSON, SQL. Inventors: Scott Dunlap, Dan Steinman, Jeff Piper, Josh Schaefer, Johannes Erdfelt, Quyen Tran, Wesley Chun, Paul Howe. CTIS Part-Time Instructor: Deliver an Intermediate Python course (CS 21B/CIS 68L) at Foothill College as well as serve occasionally as a substitute instructor for the beginner course (CS 21A/CIS 68K). Principal: Founder of technical consulting agency performing private technical corporate training as well as public instruction. Current courses: (Comprehensive) Intro+Intermediate Python and Advanced Python. Previous courses: C Language Programming and Introduction to Unix. Course Instructor: Designing and teaching engineering courses for working professionals, primarily Python Programming and Python Programming II. Other courses include: Introduction to UNIX (CS X472) and C Language Programming (CS X471). Practicing and developing interpersonal skills and strategies while working with a variety of students of differing aptitudes and backgrounds. 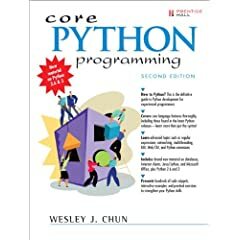 Chun, Wesley J., Core Python Applications Programming, 3rd ed., Prentice Hall PTR: Core series, Upper Saddle River, New Jersey, USA, © 2012 (2012 Mar 9). ISBN 0-13-267820-9. QA76.73.P98 C48 2012. Chun, Wesley J., "A Python Reading List". InformIT, 2012 Mar 4 (online-only). 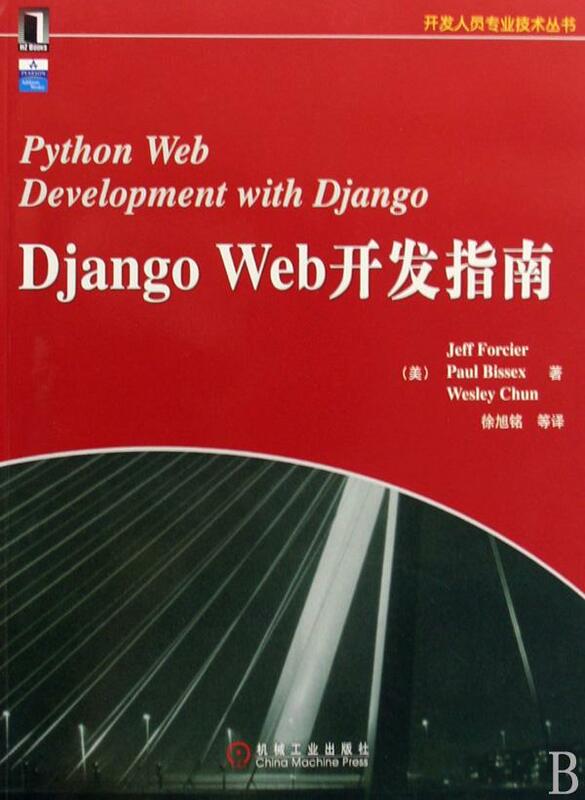 Chun, Wesley, "Running Django Projects on Google App Engine". Google, 2010 Nov 22 (online-only). Chun, Wesley, "Rapid Cloud Development using App Engine for the Cycle Hire Widget Android application". Google App Engine Blog, 2010 Aug 4 (online-only). Chun, Wesley, "Using Federated Authentication via OpenID in Google App Engine". Google, 2010 Jul 15 (online-only). Chun, Wesley J., "Python's 'New' Division: Python 2 vs. Python 3". InformIT, 2010 Jan 21 (online-only). Beazley, David M., Wesley Chun, Cameron Laird, and Mark Summerfield, "The Three Python Tenors Sing 'Threads' and 'State of Mind'". InformIT, 2009 Jul 29 (online-only). Chun, Wesley J., "Python 3: The Evolution of a Programming Language". InformIT, 2009 Mar 24 (online-only). Chun, Wesley J., Python Fundamentals (Video Training DVD), Prentice Hall PTR: LiveLessons series, Upper Saddle River, New Jersey, USA, © 2009 (Dec 2008). ISBN 0-13-714341-9. ISBN-13 978-0-13-714341-2. Forcier, Jeff, Paul Bissex, Wesley J. Chun, Python Web Development with Django, Addison Wesley Professional: Upper Saddle River, New Jersey, USA, © 2009 (Nov 2008). ISBN-10 0-13-235613-9; ISBN-13 978-0-13-235613-8. TK5105.8885.D54F68 2009. 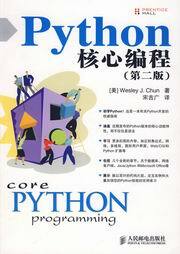 Chun, Wesley J., Core Python Programming, 2nd ed., Prentice Hall PTR: Core series, Upper Saddle River, New Jersey, USA, © 2007 (Sep 2006). ISBN 0-13-226993-7. QA76.73.P98 C48 2006. Chun, Wesley J., "Keeping Up with Python: the 2.2 Release". Linux Journal, Issue 99, pp. 84-91, July 2002. ISSN 1075-3583. Chun, Wesley J., "Python 2.2 Q&A with Guido van Rossum, Creator of Python". Linux Journal, Issue 98, pp. 84-85, June 2002. ISSN 1075-3583. Chun, Wesley J., Core Python Programming. Prentice Hall PTR: Core series, Upper Saddle River, New Jersey, USA, © 2001 (Dec 2000). ISBN 0-13-026036-3. QA76.73.P98 C48 2000. Chun, W. J., L. E. Moser, P. M. Melliar-Smith, and D.A. Agarwal, "Distributed Simulation for a Communication Protocol Development Environment." (PDF or PS) In the Journal of High Performance Computing, Vol. 4, No. 1, pp. 3-12, Supercomputing and Visualization Unit, National University of Singapore, Kent Ridge Crescent, Singapore, December 1997. ISSN 0218-6802. Chun, W. J., "Virtual Gateways: Performing Distributed Simulations in the Totem Protocol Development Environment." (PDF or PS) Master's Thesis, University of California, Santa Barbara, September 1994. QA76.27.C2 S25 CHUW 1994. Also available as Technical Report #94-23, Department of Electrical and Computer Engineering, University of California, Santa Barbara, September 1994.